When my daughter was born 8 years ago, I suddenly became very conscious of what I was feeding my family. I began to read labels and started cooking from scratch. It was exhilarating to make things from scratch that I used to buy at the store… and it quickly became exhausting as well. As we added another child to the mix and they got older and their feeding got more demanding, well, I knew I had to cut myself some slack. So while I still try to do my best at cooking from scratch for my family, I also know when to call it quits and give myself a break. I find lunch to be a particularly difficult meal to make for myself because I'm only cooking for one. Everyone else takes a packed lunch with them to school. I'd often find myself skipping lunch and thus be starving at dinner time. So I sometimes rely on a quick and easy freezer meal for lunch. 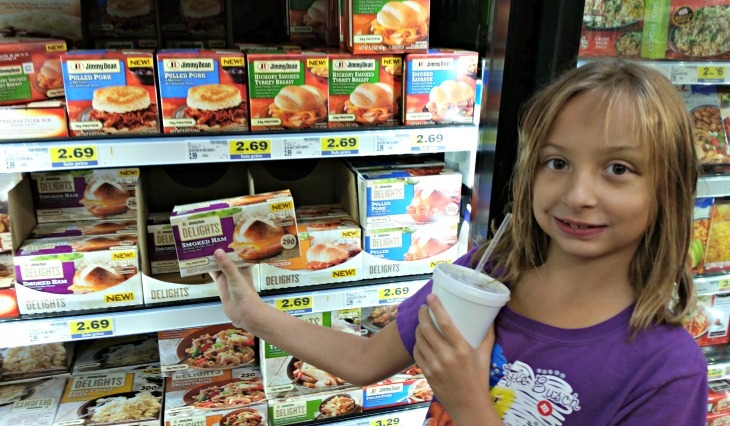 While I was perusing the frozen food aisle at my local Kroger store, Smith's, I checked out a new lunch and dinner line from Jimmy Dean®. I knew Jimmy Dean® offered breakfast options and was curious about these new lunch options. There are a ton of different Jimmy Dean® Delights options for lunch. Of course, sandwiches are always a favorite lunch idea and Jimmy Dean®s Delights new options include either one larger sandwich or two smaller ones. 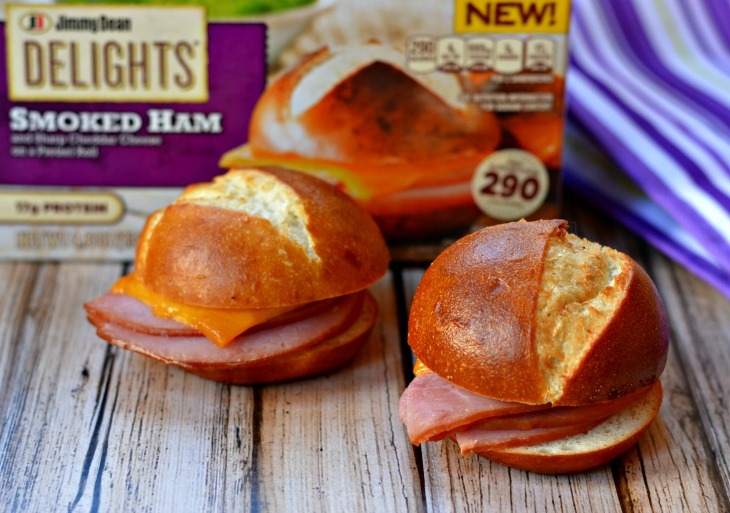 My daughter insisted I try the Smoked Ham mini-sandwiches because they come on a pretzel bun. I secretly love anything that comes on a pretzel bun and the Jimmy Dean® Delights sandwiches did not disappoint. 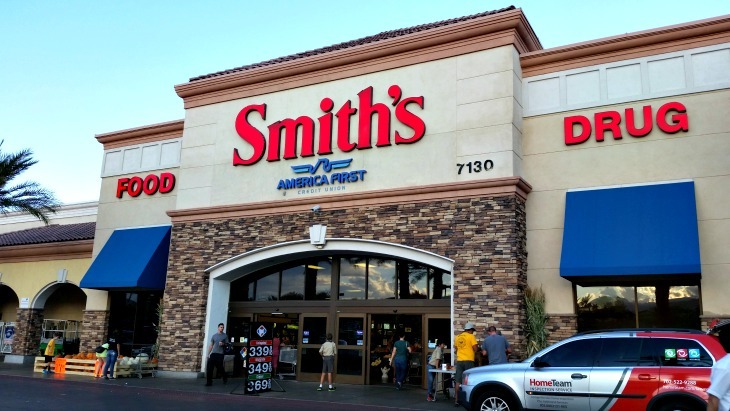 f you shop at Smith's like me, be sure to check out the $1/1 Jimmy Dean or Jimmy Dean Delights coupon. If you shop elsewhere in the Kroger family, don't worry, there is a coupon for you too! 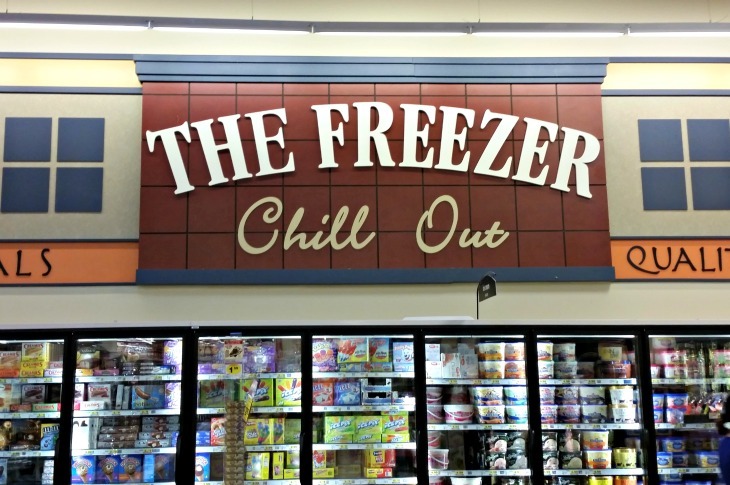 Select your store from this link, then check out the frozen foods category.